Suara Sarawak: Massive economic empowerment agenda – for whom? It is indeed a pity that Umno’s inability to think outside the racist framework will lead to the frittering of the rakyat’s RM30bn in projects that will mainly benefit the cronies, says Jeyakumar Devaraj. On 14 September 2013, the Prime Minister announced a RM30bn package of programmes to “empower” the bumiputera population in the country who are still lagging economically. The data quoted by Umno leaders is that the mean Chinese household income is about 40 per cent more than the mean bumiputera household income. We accepts affirmative action as a valid and necessary policy option for the government. Poorer communities and the people marginalised by development should be helped by society. This is a moral imperative! We also agree that the uplifting of poorer communities cannot be left to “market forces”. We reject the notion that private companies operating for profit will somehow generate “trickle-down” effects that will alleviate the poverty of marginalised sectors. However, we have serious reservations about the “Bumiputra Empowerment Agenda” recently announced by Najib because our experience in Malaysia has shown us that affirmative action based on ethnic criteria invariably benefits the better off groups within that ethnic group far, far more than the poor in that community. There are now around 60,000 bumiputera Class E and F contractors registered with the government. It is quite likely that they will receive a larger portion of this RM30bn than the 2m bumiputera farmers in Sarawak and Sabah. Around 60 per cent of Malay households have a family income of less than RM2000 per month. 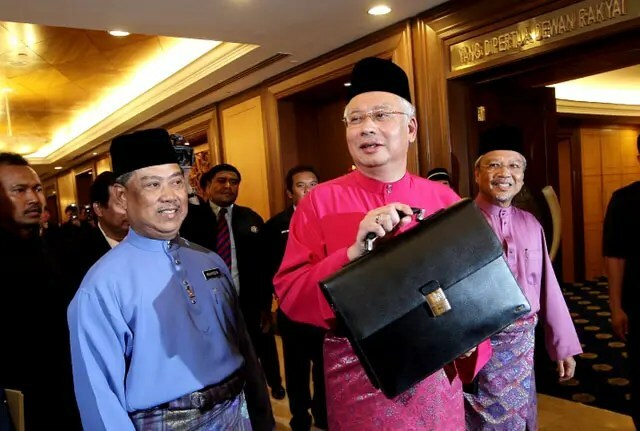 It is quite likely that children from the 15 per cent of Malay households with monthly incomes of more than RM5000 will receive a far larger share of the RM30bn allocated for bumiputeras than the children from the bottom 60 per cent of the Malay households. Affirmative action based largely on ethnicity is not only unfair to the poor and the marginalised of other ethnic groups, it is also unfair to the poor in the same ethnic group as well. It creates a situation where the poverty of the poorer bumiputeras is used to justify allocations that ultimately will help the richest bumiputeras and those closest to the people in power! The government should embark on affirmative action to help marginalised groups – that is the responsibility of government. But the criteria for inclusion for these programmes should be socio-economic status and not ethnicity. Only then will the targeted group – the poor, receive the main portion of the funds allocated. Such an approach that reaches out to the poor of all communities will have the added benefit of building solidarity among the ethnic groups and enhancing harmony in our multi-racial population. A RM30bn allocation would have gone a long way towards helping the poor in Malaysia as well as in building national solidarity and a common Malaysian identity! It is indeed a pity that Umno’s inability to think outside the racist framework will lead to the frittering of the rakyat’s RM30bn in projects and programmes that will mainly benefit the cronies and the politically well connected Malay elite while creating a feeling of resentment and bitterness among the poor of all races! Najib’s announcement two days prior to Malaysia Day makes the Malaysia Day celebration and nation building a joke. It is clear that under the BN, racist politics will continue and a truly fair and equitable Malaysian society will never see the light of day. Dr Jeyakumar Devaraj, a long-time Aliran member and contributor, is the Member of Parliament for Sungai Siput. A respiratory physician who was awarded a gold medal for community service, he entered politics and scored a major upset in the 2008 general election when he defeated an incumbent heavyweight minister.